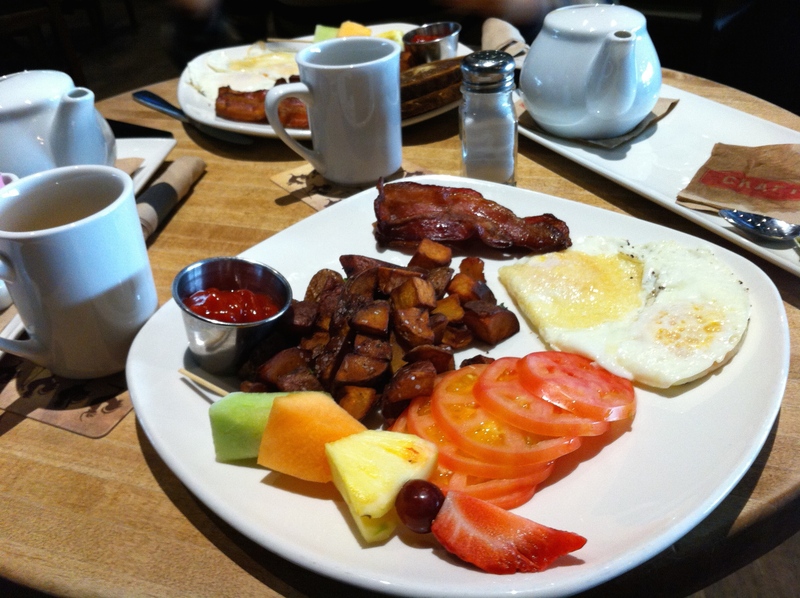 The fact is brunch has become a pretty big deal in Calgary and if you want to hit the small mom and pop diners you need to get up pretty darn early….early is not really a word in my hubby’s vocab. So it is great that the bigger bar/pub/restaurants are opening their doors (a few small hours after closing them) and offering up some great mid morning feasts. We recently went to Craft. With loads of space and a relaxing Saturday midmorning atmosphere, Craft is a great place to enjoying a slow waltz into mid day consciousness. The brunch menu boasts six solid offerings from traditional bacon and eggs to chicken and waffles featuring local and seasonal produce. We both had traditional bacon and eggs (we easily traded out toasted for tomatoes) and fell in love instantly with the hash brown potatoes! Made from Popular Bluff organic potatoes these hash browns boast melt in your mouth flavour! The eggs were fresh and the portion size was spot on. The service was also really attentive which is also a nice touch when nursing the leftovers of an overactive Friday night! The bill was in the mid $40.00 range which is par for the course as far as brunch tends to run.